Luckily, her Vestel Jetwash dishwasher can transform into a hyper-maneouvrable flying robot, who not only gives her daughter a ride in its marsupial-style protection pod, but also engages mother’s F-16 in an aerobatics-only non-lethal dogfight. Meantime, our fighter pilot’s daughter - who mysteriously manages to resist massive G-forces while aboard the transforming dishwasher - becomes quite the heroine, as she delivers the missing coffee mug at mission’s end. Mind you, our tasty flygirl does manage a winsome raised eyebrow when she sees the robot, now retransformed back into its Vestel Jetwash image, sitting innocently on the runway. Great ad, dunno about the product - though if it’s as good as our 20-year-old Zanussi, then it’s a winner. 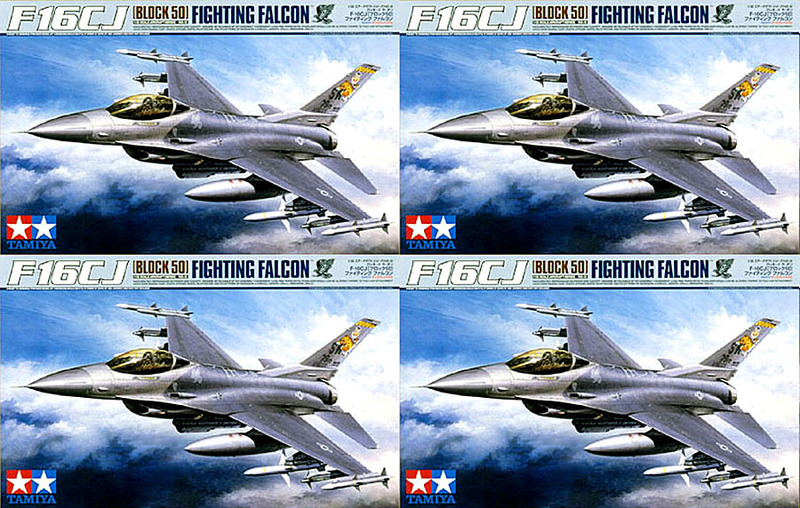 Meantime, what’s what in the world of F-16 model kits? 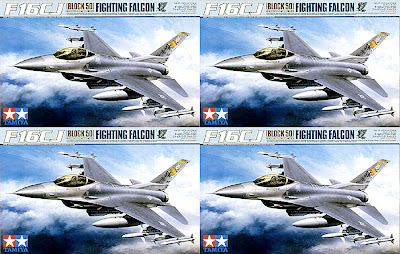 Well, our current vote goes to the 1:48 scale Tamiya F-16CJ Block 50 Fighting Falcon. This is a simply superb piece of model engineering that’s well up to the best that Tamiya has put out over the years. Introduced a few years ago, Tamiya’s 1:32 scale kit features the bigger air intake duct required by the uprated F110-GE-129 jet engine, and this has been modelled as a separate detailed component that can be slid in and out of the fuselage like the real thing. As you can see from the pix, the Tamiya kit also features a loading trolley for the engine. Model engineering has helped the build, with a one-piece upper wing-body moulding, to reduce crack-filling time. 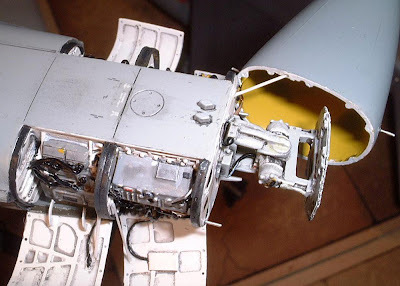 Tamiya’s kits rarely need much of this anyway, but this assembly method does away with the need completely. Other features on this big model include diecast landing gear, with rubber tyres. Soft ‘poly caps’ ensure that ordnance - missiles, ECM pod, fuel tanks - are removable and interchangeable, so the aircraft can be configured for different mission profiles. Flaps, rudder, and elevators are also positionable. Cast metal and photo-etch parts feature strongly, with items such as pitot tubes, static wicks, seat buckles, radar antenna, and flare dispensers all supplied this way. 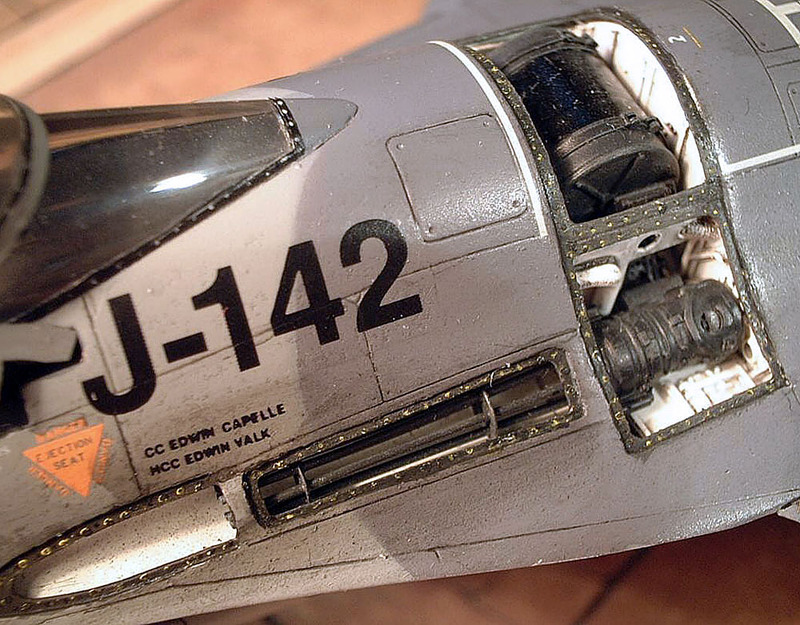 In the cockpit, Tamiya has been equally thorough, with a choice of smoked or clear canopies that can be open or closed, and an extremely well-sculpted pilot figure. Male or female? We can’t tell, so maybe it’s Vestel girl’s mother! 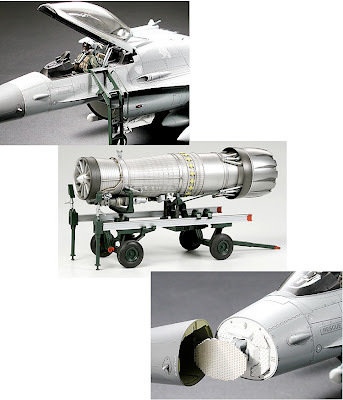 Last but not least, Tamiya has included a set of weights, to avoid this F-16 being a tail-sitter when assembled. Mind you, the 1:32 scale Tamiya kit is just one of many, as there’s a galaxy of choice out there to cover this piece of combat hardware that’s still (despite the upcoming F-35 strike fighter) pretty well state of the art where battle-honed flightgear is concerned. The conformal-tank version above shows just how far the basic design - which first flew on February 2, 1974 - has advanced in the intervening years. 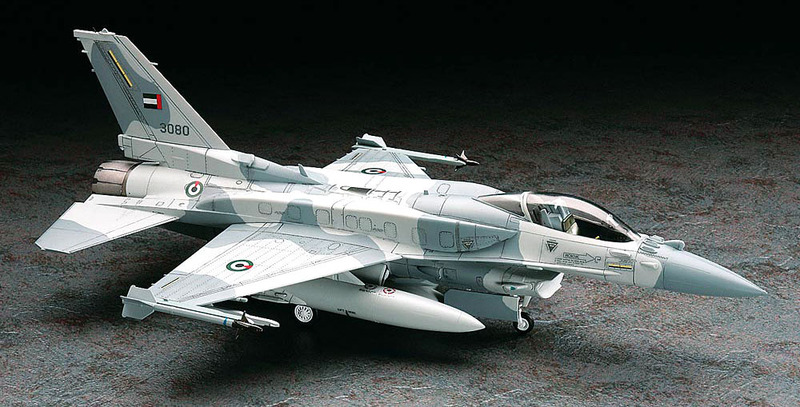 Tamiya 1:32 scale F-16, and some alternatives, available here. If you like transforming robots, there's a selection here. Thanks to Flightglobal for the heads-up on the video.